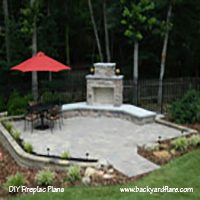 Specializing in custom outdoor fireplace, kitchen and grill designs and plans for your outdoor paradise. 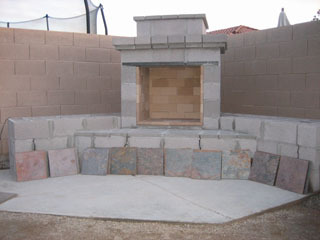 Our next featured builder is in Arizona. 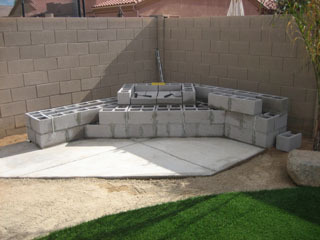 Jeff purchased the Douglas Mini corner design so it would fit in his backyard space. It is literally a smaller version of the popular Douglas design but with the same size firebox. 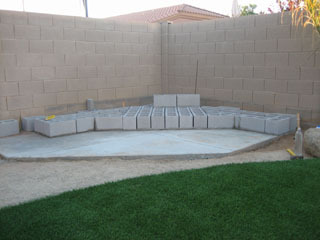 Prep work got him started and the slab was poured and the first layer was put down. Jeff added low voltage lighting cord which was routed through the structure at the beginning stages of the building process. The position of the four white cords indicate the area where the power cord attached to the individual lights. After a lot of hard work and attention to detail, Jeff finished the patio and extended it to the grass area for a seamless look. 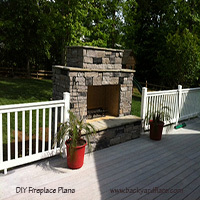 The fireplace veneer is a stacked slate, with matching lights. 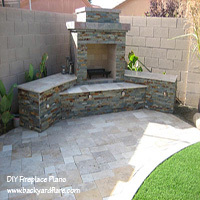 It's a great looking fireplace and sitting area to relax and enjoy. Great job Jeff! 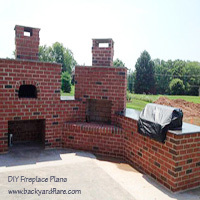 These builders have been kind enough to provide pictures of their projects as they were being built. Click on the image to visit their gallery. 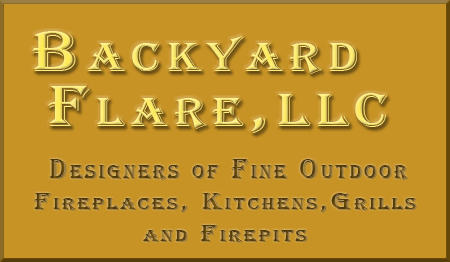 Backyard Flare LLC © Copyright 2016 All rights reserved.